I had my 6th radiation treatment today. There isn't much to update on at the moment. I am feeling no side effects so I am thankful for that. The worst part is still the drive. So much time on the road. I love my doctors there. They are so nice and friendly. 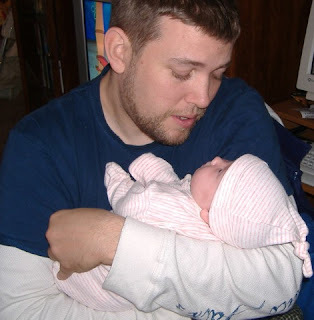 Everyone is alway shocked by the fact that I was pregnant during all this. 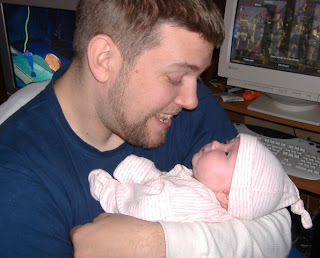 Here are some new pics of hubby and the baby which I thought were just adorable. 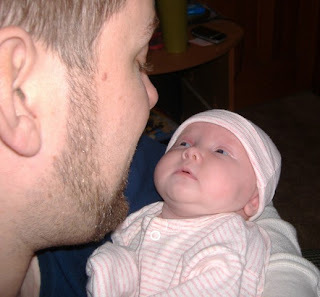 She loves her daddy and turns her head and stares whenever she hears his voice. I love her little snowsuit that her daddy picked out! 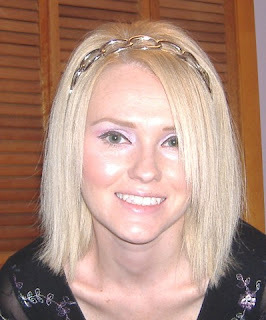 And there is a new pic of me with the headband I just bought. It may be hard to tell but my hair is thinner by about 50% from what it was before chemo. I bought headbands because it adds some *umph* to my hair I think. I hate how thin it is but I'll be thankful that I didn't lose it all. I hope it thickens up fast. It's too thin even for a ponytail. It looks silly and slides out. 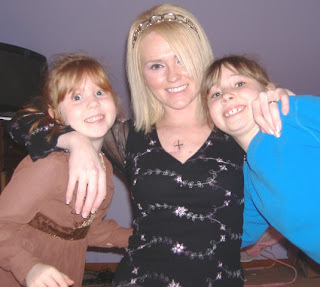 Then the last pic is of me and my daughters Angelina and Mikayla :) Enjoy! 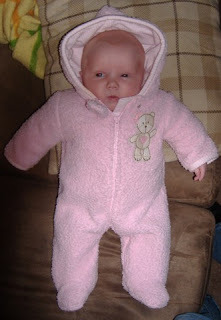 I always love to see itty-bitty babies in snowsuits. Gabriella is a doll. Awww, Gabi looks so adorable with her snowsuit on!! Those Gabi and daddy pics are so precious.....and I just love the pic of you with Angelina and Mikayla!! And I love the picture of her in the pink outfit...soooooo cute!!!! My daughter has the same snow suite as yours. She's starting to out grow it now. :( Very cute though, very cute!